With autumn officially here and October just around the corner, what better way to start it off than with a round up of JAM’s activity during Organic September. Soil Association’s celebration of all things organic has meant that us Jammers have had an excuse to eat non-stop during the whole of September (not like we needed an excuse really)… but this time, we swapped our giant sized bars of Cadbury Marvellous Creations, M&S cupcakes and dinner-time meals for Green & Black’s Butterscotch chocolate, home-made lemon and raspberry cupcakes and Sri Lankan Chicken Curry. We’ve tried everything organic that we could get our hands on – from fruits, to teas and shampoo! Naturally, we wanted to try everything and anything. Not just from a fun point of view but also to contribute to bringing about a positive change to make our planet more environmentally friendly. In fact, did you know that if 10,000 people made an organic breakfast every day for one month, that an extra 40,000 organic eggs could be produced? Yep, we’ve even learnt a thing or two. Aside from a month of over eating and being more wary of what’s ending up in our shopping baskets, I know I for one am glad that we’ve tried to make a difference by making these small changes. I’ll definitely ensure we stay stocked up on organic products here at JAM Towers. And who knows, maybe next year I’ll be blogging about my organic three-course Jammer dinner, although with my track cooking record, I severely doubt it. We can but try! You may have read that here at JAM towers, we’ve gone all organic in aid of Organic September – the Soil Association’s celebration of anything and everything organic. You may not have read however that this week (16-22 September) is National Cupcake Week, during which the nation gets a full seven days to celebrate the humble cupcake in all its delicious forms. Established by British Baker, the industry title for the entire baking industry, the week is designed to promote the popularity of cupcakes to help bakers boost their sales – as if most of us need any encouragement! Like many people during this time of year, I’ve been hit by Bake Off fever. Watching Paul Hollywood and Mary Berry judge the efforts of an often incredibly talented bunch of amateur bakers week after week always makes me want to chuck on an apron, crack open the icing sugar and make a right royal mess in the kitchen trying to emulate their skills! What better way then to celebrate National Cupcake Week than to bake a home made batch of calorie-laden treats for the lovelies at JAM towers? The below recipe is from the book Boutique Baking by the fabulously talented Peggy Porschen, the owner of the gorgeous bespoke cake company of the same name based in Belgravia, London. Simple to make and delicious (and only the five calories, of course) I’ve adapted these to suit our September theme. These (Mostly Organic) Lemon and Raspberry Cupcakes will go down well in any office. Just ask Team JAM! 1. Preheat your oven to 175 / gas mark 4. Prepare a couple of 12 hole muffing tins by lining them with cupcake cases – mine were signature JAM pink! 2. Beat the cream cheese in a mixing bowl until smooth and creamy. In a separate bowl, chuck in the butter, icing sugar and lemon zest and cream together until pale and fluffy. Add the cream cheese to it a little at a time and mix at a medium-high speed until the frosting is combined. Stick the frosting in the fridge covered, and chill until set. 3. For the cupcakes, place the butter, sugar, salt and lemon zest in a mixing bowl and cream together until pale and fluffy. In a separate bowl, beat the eggs lightly, then pour it into the butter mixture a little at a time while whisking quickly. If the mixture starts to set or curdle, beat in 2-3 tablespoons of the flour. Once you’ve added all the egg to the butter mixture, sift in the flour and stir until just combined. This means the cakes will stay light and fluffy! 4. Use a piping bag or tablespoon (I used a spoon to save on washing) to fill all the cupcake cases until they’re around two-thirds full. Drop 2 or 3 raspberries into each cucpcake. 5. Bake for 12 – 13 minutes depending on your oven. The cakes are cooked when the tops are golden brown and spring back when touched. Inserting a clean skewer will also tell you whether it’s baked, if it comes out clean with no bits stuck to it. 6. For the sugar syrup, while the cakes are baking place the lemon juice and caster sugar in a saucepan and bring to the boil. Simmer until all the sugar crystals dissolve, then set aside to cool. 7. Leave the baked cupcakes to rest for 10 minutes in the trays, then brush the top of each cake with the sugar syrup using a pastry brush. You’ll need to do this while the cupcakes are warm so that they absorb the syrup faster. Take the cakes out of the tin and leave to cool on a wire rack. 8. Once they’ve cooled, fill a piping bag (fitted with a round nozzle) with the chilled cream cheese frosting and pipe a swirl of frosting on top of each cake. To finish, place a raspberry on top of each cake. Fancy being our next Jammer? Having won several exciting new accounts, we’re looking for an experienced PR Account Executive to join our multi award-winning PR team. Our new Jammer will be working along side a great team on national projects for established consumer and B2B brands within the Food, Travel, Finance and Health and Beauty sectors. This is a fantastic opportunity if you’re looking to take the next step in your career and have the ability and experience to manage a portfolio of accounts effectively. 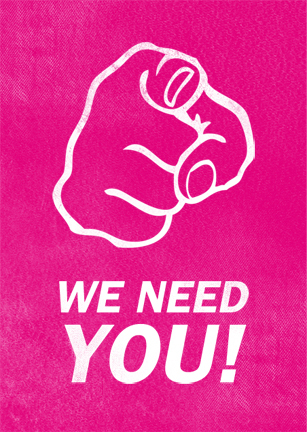 If you’ve got what it takes to become our next Jammer, send your CV and details of current salary to jaime@jampr.co.uk. Jaime Gee shares her thoughts on the introduction of plastic money and plastic phones. It would seem this week’s focus is on all things plastic; soon we’ll be handing over plastic money to pay for rubbery iPhones. I’m happy about this. Actually, I’m rather relieved that should my husband’s wallet end up in the washing machine for the zillionth time I need not worry about its contents dissolving. Who am I kidding? Those notes disintegrated into my shoe fund long ago! Ending 300 years of paper tradition, the new polymer banknotes are “clean, reliable and secure”, according to the Bank of England’s Chief Cashier, Chris Salmon. And security is certainly key. 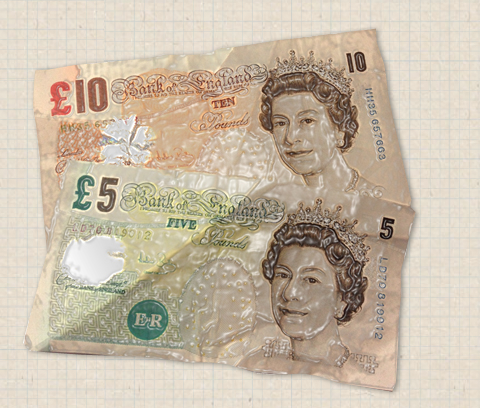 According to The Times, fake bank notes with a face value of £13.1 million were taken out of circulation last year. However, the new polymer banknotes will apparently deter counterfeiters thanks to advanced security features making them difficult to forge. 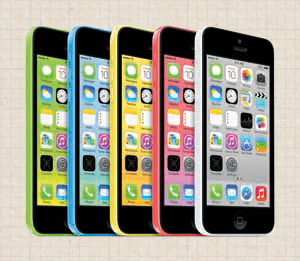 The security theme continues with Apple’s much-anticipated iPhone 5S, and its new MI6-esque fingerprint sensor. Now, initially I thought this was great, another Apple ingenuity. But discussions at JAM towers have made me rethink the value of this Q like security. Picture the scene: you’re mid event, an iPhone in each hand, and stabbing away at your laptop with your chin, and no doubt a tray of canapés balancing effortlessly on your head. iPhone number two chirps to life whilst you’re talking into the other handset, you thrust the phone at a colleague for them to answer the critical call from The Daily Mail to be met with, well, nothing but a screeching phone that only you can physically answer. Days of delegation are quickly fading. But as Lincoln once said: you can’t please all the people all of the time. I shouldn’t moan about others not being able to unlock my iPhone, after all, I’ll be pleased of this feature should my phone fall into the hands of a light fingered rascal. Instead, I’ll focus on the new super duper (technical term) iSight camera. According to Apple’s bumf, the 8-megapixel iSight camera features a 15 per cent larger sensor, True Tone flash, burst mode and slo-mo video. I have absolutely no idea what any of this means but the way they sell it makes me believe that my relentless images of every ounce of food I consume or my inebriated endeavours will look even better (or worse!). Along with the new iPhone 5S, Apple is making the iPhone accessible to the masses with a more cost-effective, polycarbonate (fancy word for plastic) iPhone 5C. With cheaper, just as effective, Smartphones on the market Apple needed to up its game in terms of pricing and the iPhone 5C offers a more competitively priced option. And it’s by no means of lesser quality; it’s basically the same as the existing iPhone 5 but with a slightly larger battery, and a steel-reinforced body, hidden under its vibrant plastic coating. I’m personally not a fan of the plastic casing on the iPhone 5C but I guess it does provide a little bounce for the inevitable moment my phone slips from my hand mid selfie and smashes to the floor. At which point I’d be pulling out my plastic cash and hotfooting it back to the Apple store. Transform Cosmetic Surgery, Britain’s largest cosmetic surgery provider, has appointed JAMpr as its retained consumer PR agency to drive awareness of its new brand positioning – ‘when you feel good, we feel good’ – and deliver a broader, nationwide PR campaign. JAMpr will continue to build on Transform’s solid reputation and cement its clinical credentials as the leading surgical and non-surgical treatment provider, through a targeted and focused PR strategy, which will include tactical engagement with key influential health, beauty and lifestyle media. The Manchester-based consultancy has also been tasked with implementing an engaging social media strategy, along with delivering on-going consumer press office tactics, including case study placement and clinical commentary on surgical and non-surgical procedures. JAMpr won the contract following an initial six-month project to elevate Transform’s new brand positioning and real-life stories campaign. The agency successfully delivered the project, with a 56% increase on targeted KPIs, and initiated the UK’s first official National Feel Good Day on behalf of the company. Shami Thomas, PR Manager, Transform Cosmetic Surgery said: “We approached JAMpr at the end of 2012 to pitch for a short-term project to elevate our new brand positioning. The team stood out in the pitch roster after presenting a highly creative and engaging solution to the brief, and they have continued to impress us ever since. Jaime Gee, MD, JAMpr added: “We are thrilled to be working with Britain’s largest cosmetic surgery provider. Transform has a strong and compelling message to take to market and we are excited to drive their PR efforts forward. Transform Cosmetic Surgery joins JAM’s growing client list, including Carrot Car Insurance, Carl Kammerling International and my Travel Cash. 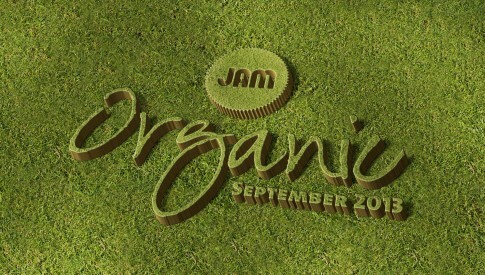 With Organic September upon us, JAM is joining in the celebrations and attempting to go organic this month. Organic September is the Soil Association’s celebration of all things organic. The message is to promote organic food, farming and lifestyle and to encourage shoppers to try organic products – from food and drink, to health and beauty products, household goods, clothing and accessories. Over the course of the month, Jammers will be swapping some conventional products for organic and helping to spread the word about the benefits of organic. We’ll be on the lookout for organic products to try at lunchtime, to cook in the evening, organic hand creams and other cosmetics, cleaning products, as well as clothing and accessories. JAM’s client, EHL Ingredients, has reported a surge in sales of its organic food ingredients for the second year running. It’s herbs and spices are proving popular among its consumer base of food manufacturers, bakers, health food stores, wholesalers and caterers as they wise up to the virtues of organic foods. We’ve had lots of fantastic coverage for the news in the food trade media. Have a read of one piece on Foodnavigator.com to find out more. So why not celebrate Organic September with us and make just one small change this month? Let us know of any great organic products you’d like us try or tell about your favourite organic purchases. More information on Organic September can be found on the Soil Association’s website.